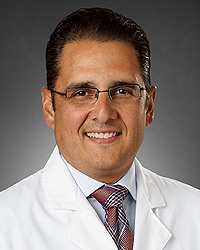 Miguel M. Gaeta, MD is a Trauma Care physician practicing in our Kettering Acute Care Surgery – Trauma Program. Dr. Gaeta motto is patients first. His commitment to patient care mirrors the Network’s mission to improve the quality of life of the people in the communities we serve. He is also fluent in Spanish.